Happy Monday friends! 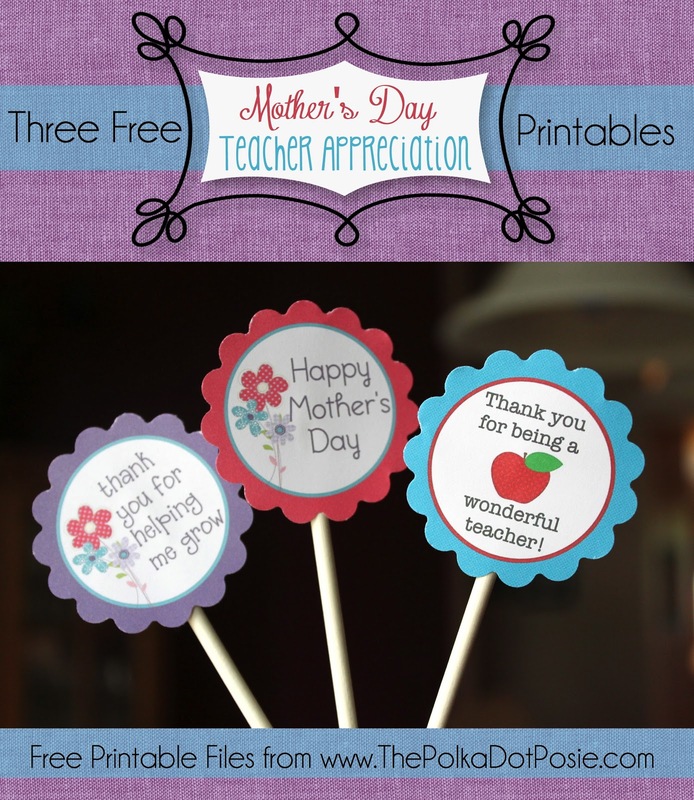 It's time to kick off Teacher Appreciation AND Mother's Day week! Woohoo! As a mom and a teacher, I know first hand how challenging and rewarding both roles can be. They are tough jobs and I think it is wonderful that we can spend the week thanking all the special teachers and mothers in our lives! And with that in mind, we wanted to share some very special printables that we hope will come in handy for you this week. You can download the file here. It is already sized to be printed on 8.5x11 paper and trimmed down to fit an 8x10 frame. Next, we have three fun printable tags that can be used in a number of ways for both Mother's Day and Teacher Appreciation gifts. 1. Potted or hanging plants. 2. A box of cupcakes or muffins. Baking cupcakes and muffins is an EASY way to get your kids in on the fun. They can help you mix and pour and when they give them to you, or Nana, or their teacher...they can honestly say, "I HELPED!". To spice of the presentation, buy a cute little cupcake box (they have them at Michaels and other stores in the baking section). Then just tie on a tag and you are set! Or, display them on a plate and use the printables as cupcake toppers! 4. A mason jar full of their favorite candy or snack. I am a HUGE fan of mason jars and even something as simple as a bag of M&Ms looks more special in a jar tied with a cute ribbon and a tag. 5. A gift card tied with ribbon and a tag. 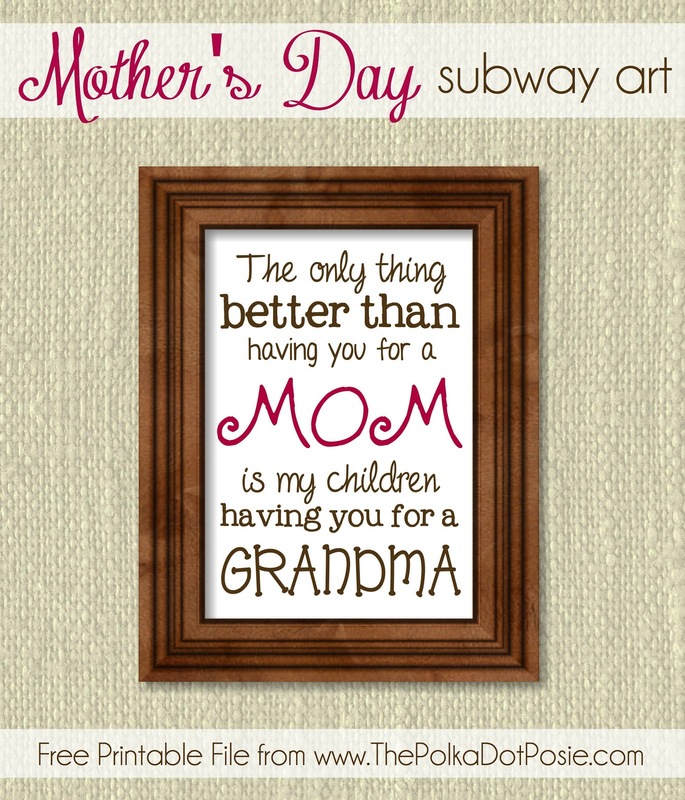 THANK YOU to all the amazing mother's and teachers out there!! As a fellow teacher and mother, I greatly appreciate these printables (which I found through your IG)! Thank you so much! SO happy you found us Stephanie! I am a printable junkie...can't help it :-) Happy Mother's Day and Teacher Appreciation week to you!! A good logo design, imprinted upon attractive document replica chanel, can perform miracles within reinforcing your own manufacturer. They may be really prosperous marketing resources as well as affordable too particularly if a person purchase within big louis vuitton replica sale, that decreases the price of document tote publishing considerably. It's a good recognized proven fact that customers through pressure associated with routine study info as well as discover pictures as well as images imprinted in writing totes. Companies may profit from this particular natural impulse associated with customers as well as deliver document totes using the logo design placed in it. There are many additional explanations why document chanel outlet publishing could be a sensible expense for any company. Simple portability is among the most significant options that come with the document tote. Therefore, your own corporation's image along with other info, that are imprinted about the totes, proceed together with all of them and also have louis vuitton replica chance of becoming observed through individuals. Becoming very helpful as well as louis vuitton replica sale, these types of totes tend to be held through individuals from their own houses for a long period, as well as so long as the actual tote is within make use of, your company retains obtaining protection.